Nerida Cuddy left her hometown of Sydney as soon as she could, for the open skies and space of western NSW, a stint in country Victoria, finally stopping in Canowindra, central west NSW. For over 25 years, Nerida’s songs have connected her with people from all walks of life. Nerida’s stories-in-song are a well-balanced mix of bittersweet tales of life with tasty lashings of humour, generous and fun. Detailed guitar or hearty banjitar accompany her warm & passionate voice. She has been described as “a Central West Mary Black”; a “prolific songwriter”, and “a composer & musician with not only an ear for music, but a social conscience and a sense of humour” (ABC Central West). Nerida loves sharing her music with a range of audiences, including various local gigs. In 2019, she is celebrating greater freedom to perform further afield (as her 3 kids are growing up…) with a gig at the Hornsby-Kuringai Folk Club in February, and the St Albans Festival in April. In 2018, she was the local act in the Festival of Small Halls concert at Woodstock, then played at the Folk by the Sea Festival in Kiama in September. In 2017, she performed her song Canowindra, at the town’s annual Balloon Glow in front of a crowd of 10 000 people. She was also filmed playing music and working with her children’s drama club by the ABC’s Back Roads program. In 2016, her song about Ali Curung, NT, was shortlisted in the Roddy Read Memorial Songwriting Concert at the Maldon Festival. 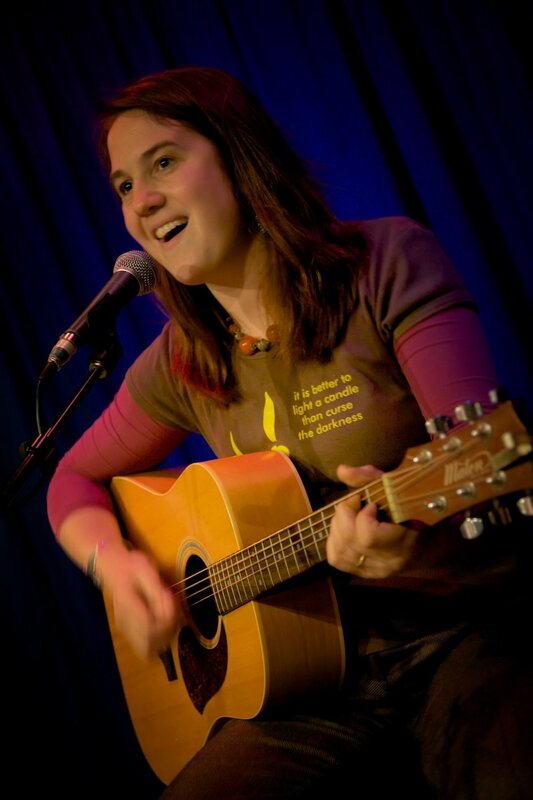 In 2011, at the National Folk Festival, she wrote and performed 2 songs in Rob Willis’ show, The Daring Kate Kelly. She also performed in Rob Willis’ 2012 Nationals show. She played in the Inland Sea of Sound in Bathurst and the Kalari-Lachlan River Arts Festival in Forbes in 2015, the Womindra Festival in Canowindra 2011-2012, as well as the Yackandandah Folk Festival, Quest Creative Arts Festival (Sydney Olympics), Easterfest (Toowoomba) and Black Stump (Sydney) in previous years. She initiated and ran the Folk@Canowindra music club from 2009-2015, which served to encourage a wide range of people in creativity, music and community. Nerida has also provided entertainment for a great range of events, particularly across her region. Nerida’s diverse life experiences, along with her own spiritual journeying through loss & healing, love and family, have proved to be a rich pallette from which to draw inspiration. Her lyrics weave the fabric of human experience with the imagery of the earth, particularly the Australian bush. From the rich harvest of a country op-shop to protests against rampant materialism to the gut-wrenching starkness of grief, Nerida’s themes are diverse and gutsy. Her latest passion is biography, presenting the lives of known & little-known Australians in a “Feast of Stories” concert. Whether in a pub, a restaurant, a festival, a church, or even under the stars, Nerida’s clear melodic lines, and evocative lyrics stimulate reflection, laughter, tears.